For those looking to discover Italy in a new light while enjoying different experiences and meeting new friends, homestay holidays offer an immersive and unique trip that will leave a lasting impression. Thousands of Italians are opening their doors and welcoming eager travellers to experience life as local and with numerous activities, locations and experiences to choose from, deciding which adventure to embark on next is a tough job. 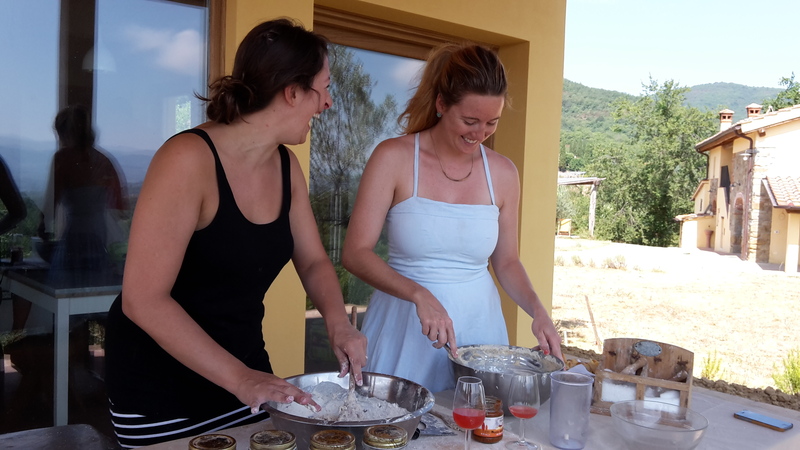 Join Lorenza Bacino as she explores 6 homestay experiences across Italy, meeting the hosts who make it possible. 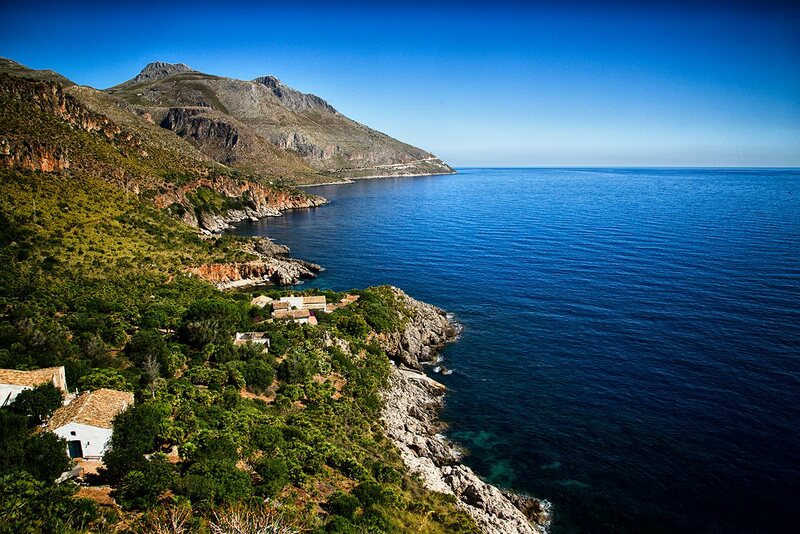 Rosaria’s home in the village of Balestrate on the coast of northern Sicily stands in the heart of the Golfo di Castellammare, a 20-minute drive from the island’s capital, Palermo. Rosaria loves meeting new people and sharing her language and culture with her guests. 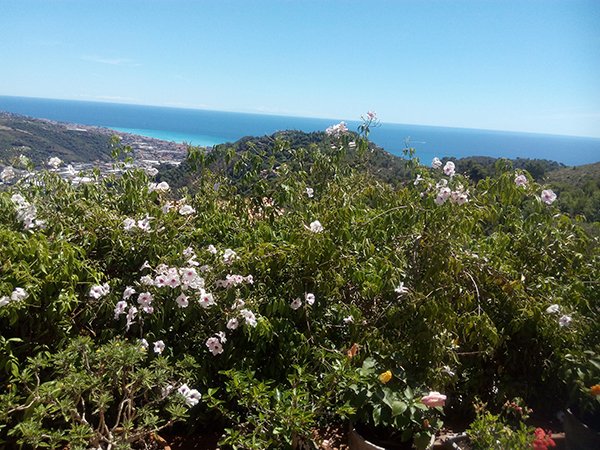 So her homestay would be ideal for students and people generally interested in learning Italian and curious about the history and culture of the island. You’ll live in an independent apartment above her home with access to her dinner table at all times, a warm family environment with dialogue at its heart. She’ll organise tailor-made packages for you, including language and cooking classes, nature trips, history and art. 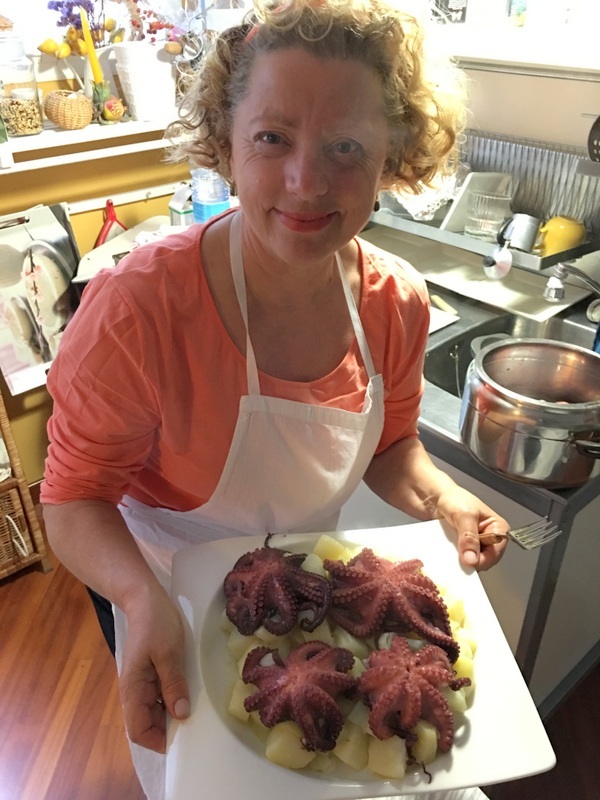 She’ll also regale you with many local tales, including an amusing story about how the English had a hand in the making of Sicily’s iconic sweet Marsala wine in the 19th century. Rosaria strongly encourages you to visit to the Riserva della Laguna dello Stagnone di Marsala with its unique salt pans and pretty islands. The beach at Balestrate is 8km long and this part of Sicily is home to some of the most stunning coastline in the country – a veritable beach lover’s paradise that stretches from the turquoise waters and white sandy beach of San Vito lo Capo to the breathtaking Zingaro Nature Reserve, stretching along the coast for 7km between picturesque Scopello in the east to San Vito lo Capo in the west. It’s windswept, wild and rugged and attracts swimmers and walkers alike. The dramatic cliffs plunge down into the azure waters and rise again steeply to heights of 1,000m. There are a number of lovely pebbly beaches to cool off on after a hard trek. It’s a bird lover’s paradise too with eagles, peregrine falcons, kestrels and owls. 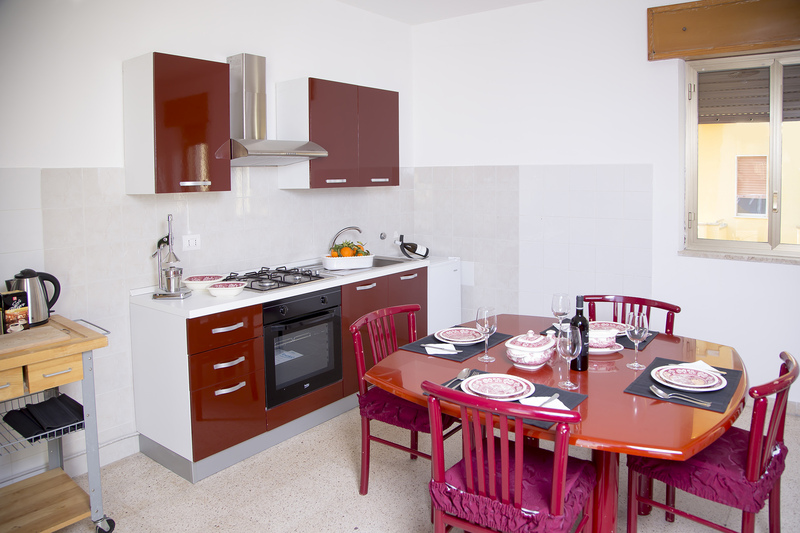 Nearest airport – Palermo is a 20 minute drive away, Trapani is 40 minutes away. 2. Central Florence with Teresa and Andrea. Pontevecchio appartment, Florence. Carino e caldo, pretty and warm, is how Teresa describes her colourful home a stone’s throw away from the Ponte Vecchio in Florence, where you’ll be welcomed to a top-floor room complete with terrace, and where you can enjoy an abundant, fresh breakfast with homemade croissants served on antique family china and beautifully embroidered tablecloths. Her home contains carefully juxtaposed antique and modern artefacts. Teresa takes great pleasure in using traditional items such as her grandma’s china and sumptuous linen for the beds. This is what attracts people to her homestay, she says, and many lawyers, engineers and architects pass through. Teresa is a great cook and can organise romantic candlelit dinners on her terrace. She can cook for you or with you and all produce is fresh, local, and made from scratch. There are no tins in her house, she promises. She and partner Andrea are well-travelled and love to share their experiences with their guests and, in turn, learn about the lives of others. Teresa has taught Italian in Poland and Belgium and prides herself on her international outlook. She’s also a qualified tour guide and can organise museum tours for you, shopping tours or made-to-measure tours of Florence or Pisa. An extra special touch includes a soak in the ‘tinozza’ or ‘vasca’ – an old-style wooden bath originally used for wine, but which is now lined with plastic and can be used cold in the summer too. Guests can privately book it to watch the sunset with an aperitif and enjoy the view. Why not book it in winter for a romantic new year’s experience too? It’s heated using the wood from the farm. 3. Mountains and coast in Liguria with Isa and Paolo. Isa and Paolo live in the small village of San Giacomo Camporosso, just inland from the Ligurian coast, quite near the Italian border with France. Close to both sea and mountains, the nearest large town is Ventimiglia and it’s just 45 minutes to the nearest ski slopes in the winter season. Isa is from Paris and Paolo is from Milan and other languages flying around the house include English and Spanish. Interestingly, their children have gone to school in France whilst living in Italy, enabling the family to keep both cultures alive. 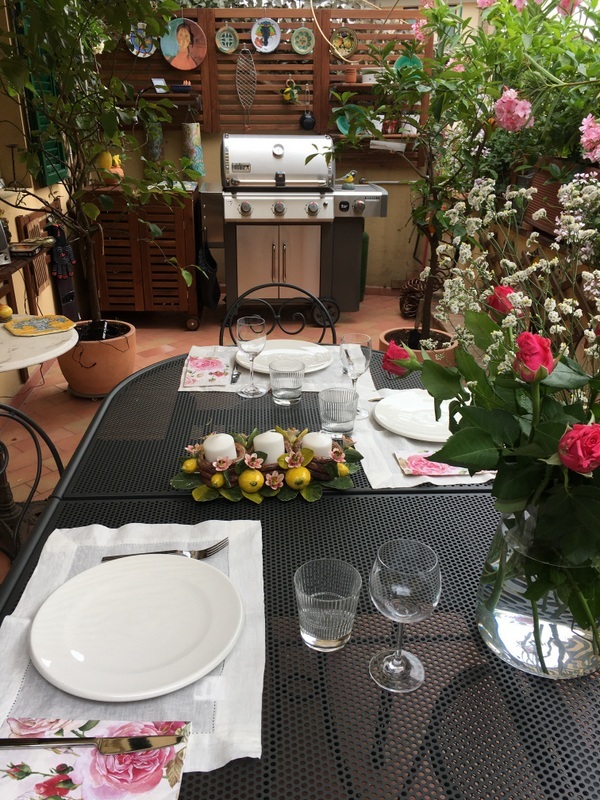 Isa and Paolo have been hosting for the past six years and escaped to this quiet, unpolluted corner of Italy in an attempt to deal with an array of allergies in the family and have a healthier lifestyle. They now run an organic farm, Le Fontane, which includes a hectare of olive groves as well as various aromatic plants used in cooking and to make herbal teas. They are also beekeepers, producing 500-600 pounds of honey per year. Guests at their home can try the jams made from Le Fontane fruit with no additives or added sugars. Homemade yoghurt and bread is always available for breakfasts served overlooking the sea. Costs €47-€60, depending on the season, for 2 people. 4. Rural Tuscany with Francesca. Francesca’s nine hectares in the hills between Chianti and Valdarno are only a half hour drive from Florence. 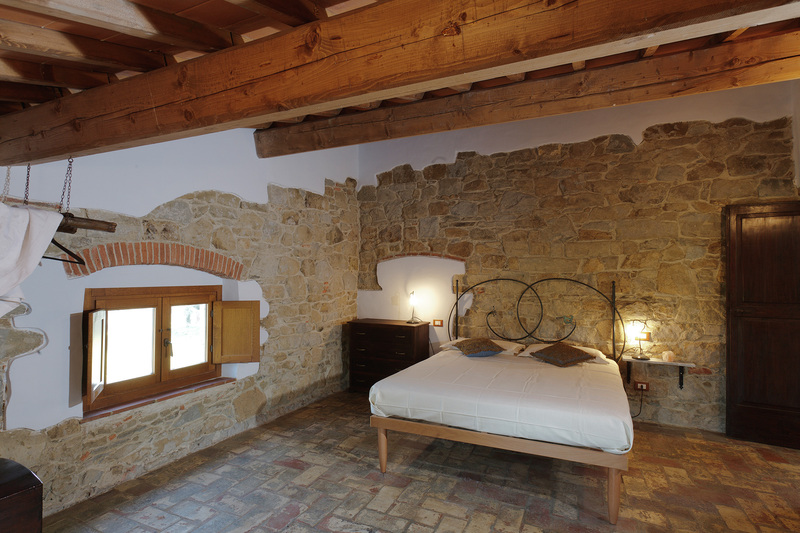 This 18th-century eco-friendly rural house was completely renovated in 2012, retaining the original typical Tuscan stone structure from the 1780s. 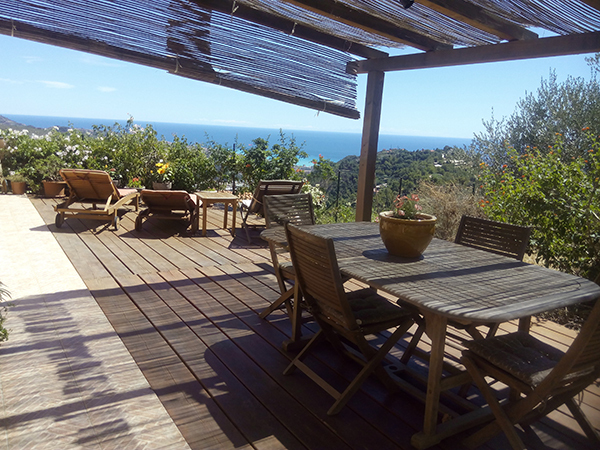 Her four guest apartments are all self-catering and Francesca only uses renewable energy to produce extra-virgin olive oil, fruit, organic vegetables and wood for the heating. It’s a family affair, and guests are treated to Francesca’s certified organic produce from the orchard, which you are also free to gather and cook yourself. She’ll take you on a personal tour and help you choose the best and give you cooking tips to boot. There are 700 olive trees that produce certified olive oil and Francesca is on hand to explain the story behind the organic farm. Cooking classes are held in the family home, where you’ll learn how to cook fresh pasta from scratch. Eggs come from the farm, as does the flour to make the tagliatelle and ravioli, which you then stuff with the vegetables from the orchard. Typically, half a day is spent doing this and then you eat together with Francesca and her family. Local olive oil and wine are laid on for the full Tuscan experience and so, as Francesca says, you get to know the land through its produce. An extra special touch includes a soak in the tinozza or vasca – an old-style wooden bath originally used for wine, but which is now lined with plastic for bathing. Guests can privately book it to watch the sunset with an aperitif and enjoy the view. Why not book it in winter for a romantic New Year’s experience? It’s heated using the wood from the farm and can be used cold in the summer. The unique thing about staying with Rossana and her family is that they’ll treat you to a tour of Rome ‘à la Audrey Hepburn’ in the 1953 film Roman Holiday. Their Vespas are 1970s models and very precious. Rossana says her guests absolutely love the experience and are often greeted by enthusiastic waves along the way. The Vespas are a great idea for weddings too. Rossana will welcome you with open arms. 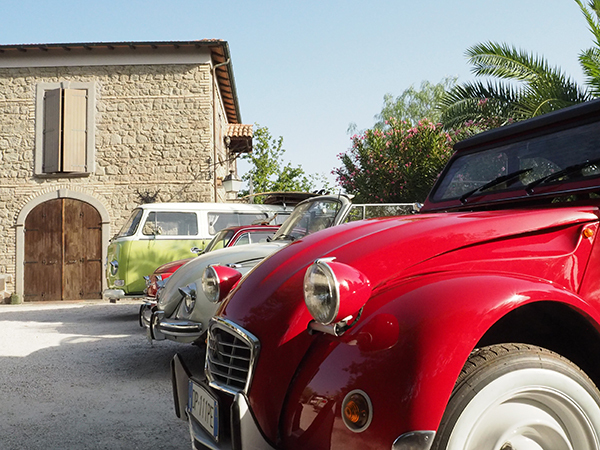 At her 19th-century stone house in Ciampino, on the outskirts of Rome, her guests are described as ‘friends’. Two apartments within the family home are available for rent. The spontaneous and maternal Rossana has been ‘homestaying’ for the past two years and is on hand to advise, to cook dinner, or organise city tours. She’s even taken guests to the doctor when necessary. You’ll be invited to cook with her and have dinner with the family if you’d like to join them. And if you visit at the right time you can join her family at vendemmia and muck in with the grape harvest or go olive picking. Or you can relax around the pool with its own waterfall, surrounded by the greenery of her gorgeous garden. It’s unbelievable to imagine you’re only 15 minutes away from Rome. Lively, friendly and chatty, Viviana lives in a renovated historic house on Lake Maggiore, near the beach, and owns a beautiful horse you can hire to go out riding, with a guide if you need one on longer trips. You’ll stay in an apartment within her home that has shared and private entrances. She even has a travel cot so it’s suitable for babies too. The kitchen is equipped with all mod-cons and Viviana’s cookery lessons include how to make pasta and gnocchi, as well as entertaining animal shapes with fruit and other food items for the youngsters. The small and pretty village of Meina has all the amenities you’ll need, including waterfront restaurants serving local seafood dishes and a number of superb villas to visit. 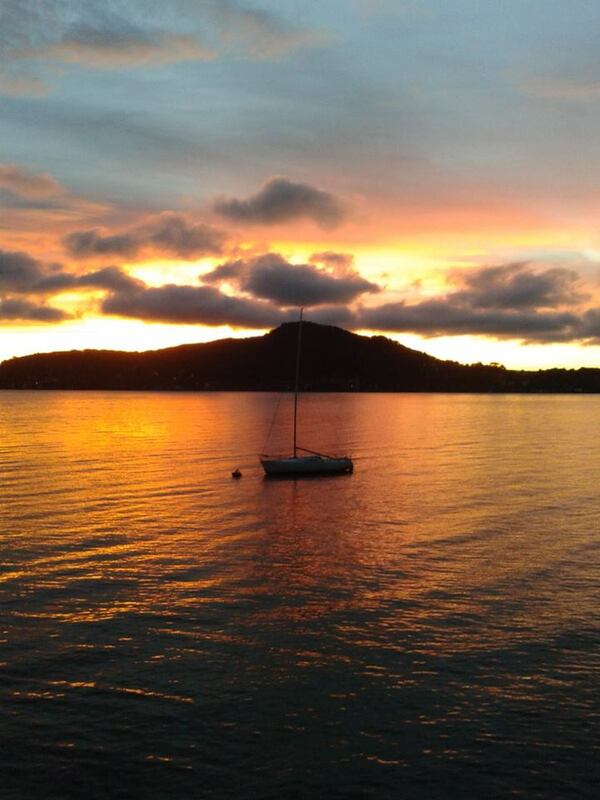 Boat trips to the three Borromean islands, cycling trips, beach activities and yoga are all available. Perhaps you’d like to enjoy a picnic on top of Monte della Croce in the stunning Alto Vergante area with its beautiful alpine backdrop? Whatever you want to do, Viviana can help you plan your itinerary down to the smallest detail according to your preferences and your time frame. Lorenza was hosted by Homestay.com. Best described with the slogan ‘Don’t just visit, live it’, the digital marketplace Homestay.com aims to take the travel experience to a new level. Travellers can seek out like-minded hosts and video chat with them before deciding whether they’re the ideal hosts to go and live life as a local with. Homestay hosts remain on hand should you need them for anything – from language lessons, tourist information, cookery lessons, transport and more. But independence is valued too, and you’ll be left to your own devices if you so wish.